The IS-pB1 is a compact, L.E.D. 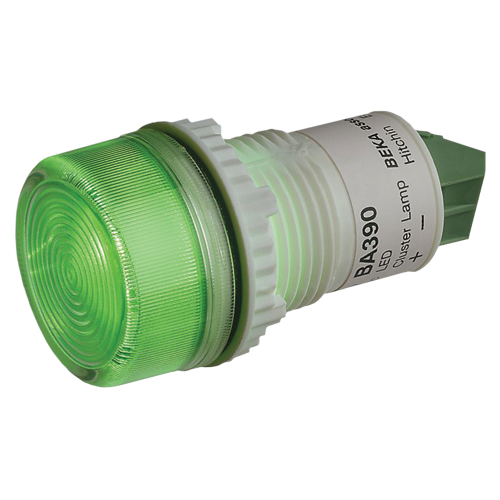 Intrinsically Safe Panel Indicator providing reliable cost-effective visual status indication in all hazardous areas. Each IS-pB1 contains a group of high efficiency light emitting diodes mounted behind a coloured diffuser to produce a bright, uniform output with a typical life greater than ten years. 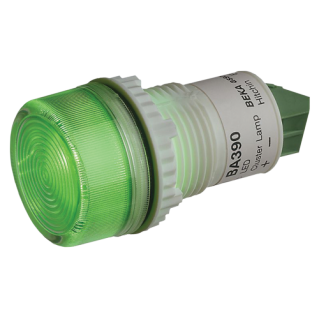 All models contain a 20mA current regulator which maintains constant brilliance and provides protection against excess voltages. – Panel mount LED indicator. – Ga Exia IIC T4 Intrinsically Safe, zone 1, 2 (IECEx). – Bright uniform light output. – Voltage: 14-30VDC via zener barrier. – Light Output: 190 lux (red @ 150mm); 300 lux (white @ 150mm). – Mounting: 22.5mm panel mount. – Temp Rating (degrees C): -20 to +60. – Cable Entry: Screw clamp 1.5mm squared. – Approval: EEx ia IIC T4. – Certificate: IECEx (ITS 08.0030X). – Lens Colours Available: Amber, Blue, Green, Red, White. Two units may be powered by any certified zener barrier with output parameters not exceeding-Uo: 30VDC, Po: 1.2W. MTL7728 MTL7728+ I/S barrier 28V.